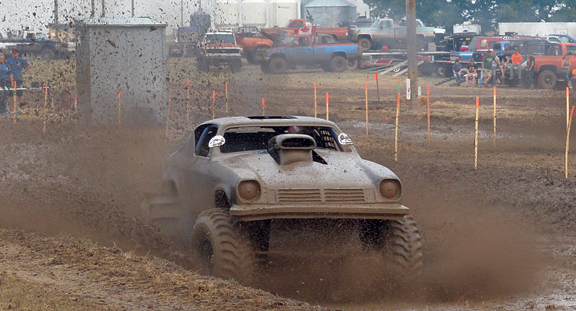 The 10th anniversary of the Medicine Hat Boggers’ annual mud bog event saw dozens of trucks slog through a giant pit trying to reach the other end. Earlier this month at the Medicine Hat Drag Strip, contestants competed in five divisions. Ed Hofsink of Taber beat out organizer, Derek Yanke of Medicine Hat, for the super stock victory. Amber Gallup of Redcliff won the stock class ahead of Dylan Yanke (Medicine Hat). In pro stock, it was Shawn Vossler edging Kody Traxel in an all-Seven Persons top two. Medicine Hat’s Bruce Johnson won the modified title ahead of Travis Rafa (Seven Persons). Paul Rafa of Seven Persons took the super modified class, with Johnson in second. He was also second in the open class, beat out by Brooks’ Jason Cote.